This is okay to use, okay to apply and quick drying (2-3 minutes a coat). The formula is good but this polish is prone to brushstrokes. Minimal painting for less brushstrokes! It's a really lovely silver polish and quite shiny. I really like this polish. Lasted well. 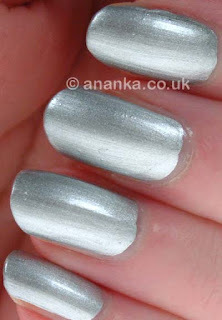 It reminds me of Essie's No Place Like Chrome. I like using metallics for stamping and it's a two coater like Essie. That one is really stunning <3. 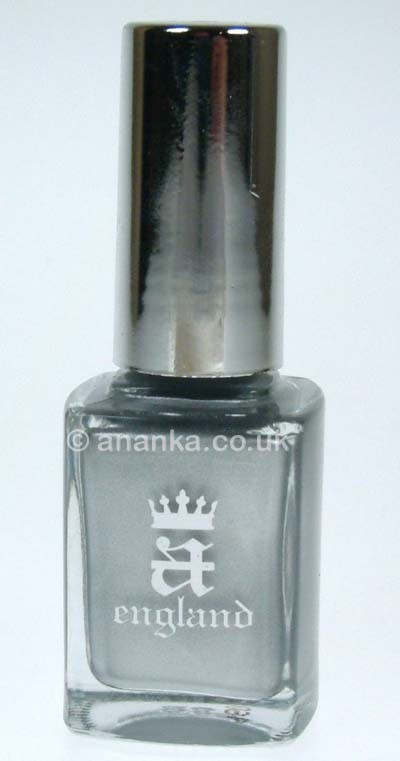 This one reminds me of a polish I used to wear all the them in my teens! Looks lovely and shiny. I love 'a-England' nail polishes and this shade is gorgeous! A nice silver, although I'm not too fond of this type of finish. I hate visible brushstrokes! :P It wasn't that bad with this one though! Oh my! this is a gem! yes chrome finish is hard to work with, but it is totally WORTHY! Omg, this nail polish looks amazing. Lovely nails!!! I love the silver!!! This looks great on you. I like how light it is and I'm not so bothered by the brush strokes, it rarely does. I've heard that some people use a sponge and sponge on the last coat to avoid the strokes. very nice!! and the brushstrokes are not bad at all!